The Duke of Marlborough Hotel in Russell has been "Refreshing Rascals and Reprobates since 1827" and was apparently New Zealand’s first licensed hotel. The strand runs along the foreshore and the Hotel is across the road from the pebble beach, as Russell faces west the sunsets over Paihai can be beautiful. The building is fairly traditional and reasonably grand, we booked a table on the restaurant deck. It was a little more formal than the bar area next door. 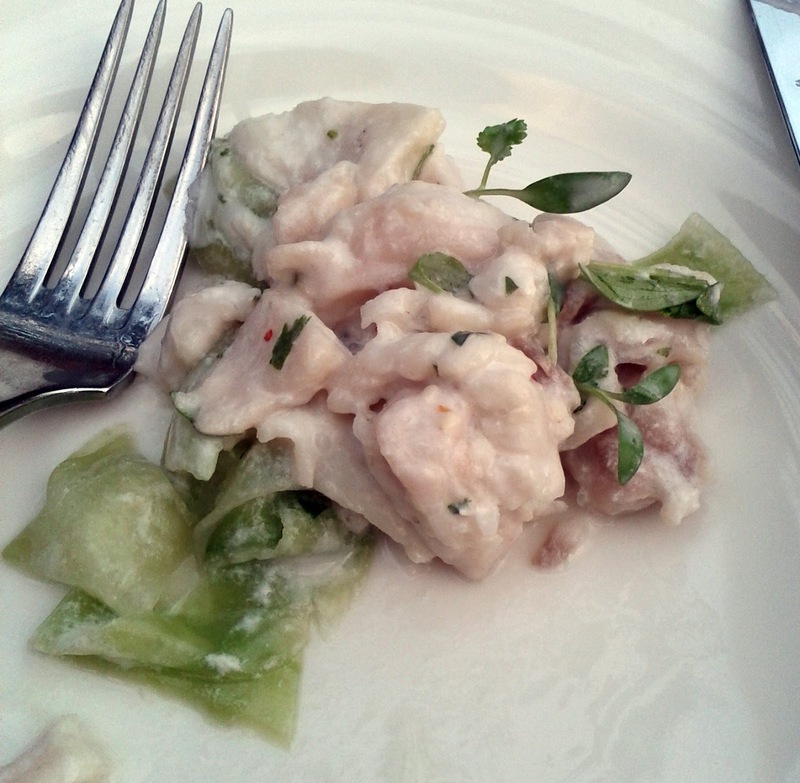 pickled cucumber ribbons, this was quite rich, and the portion was large, the snap only shows a small piece on my plate. It was good to share but may be a bit much for one person on its own. I went for the 'Bay of Islands Bouillabaisse' for my main, this arrived in a cast iron pot and was packed with huge local green lip mussels, cockles and prawns which had been steamed in a tomato and saffron broth with two different local fish and served with warm bread. Everything was perfectly cooked and the produce was clearly very fresh, the flavours in the combined really well. The Northland Fish of the Day was local snapper and came with lime and coriander prawns, a spinach-potato crush and fresh herbed pesto. Again this was great dish! The service was very efficient and friendly almost a little too omnipresent at first. The food and view make a visit worthwhile if you are in the area.